one more sleep until halloween! Today we used some time to prepare for our parent teacher conferences. We also had a lesson on developing ideas in our writing and worked on our Alphabiographies and artist statements. In math, we completed a pre-test to help us prepare for our unit test on Thursday! In the afternoon, we had a lesson on evaluating resources on the internet and continued immersing ourselves in our early humans inquiry project! You have large list of things to do this evening so read the post carefully please! 3.) Wear your costume for the Division 1 and 2 costume contest. Update your list below with at least 3 of your best questions. Include any useful resources you have found in your 'IMMERSION' phase. Homework check list! After completing each of these items cut and paste the corresponding statement and post it! @Mr. Fisher,Can I bring the conference form on Thursday please. @ Jorge. Yes you can. It looks like Wednesday and Thursday @ 3pm is still open. Quick! Sign up! NOOOO Joseph took the spot I was going to take litteraly a second before I did so Joseph please respond. For context, me and Lucas were on at almost the exact same time. I put my cursor on the time slot I wanted... and Lucas had his cursor on it too! So I quickly started typing... but he started typing as well! I clutched the spot with literally less then a second. Nevermind my mom can do November 6 for the conference. I have shown my mom the conference sheet and I have put my name on the sheet. I have put eating utensils for the party in my backpack. 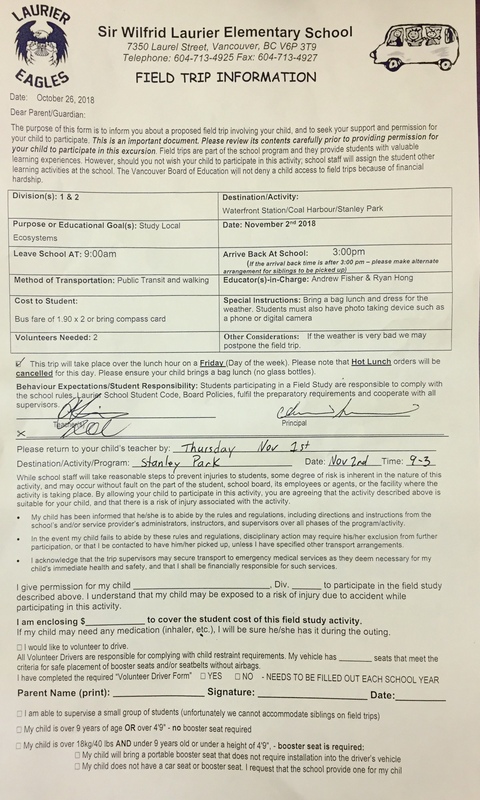 I have put the signed field trip form in my backpack. I have gone over my conference form with my parents and put it in my backpack. I have signed up for a conference time. I have added three inquiry questions to the brainstorming page. @Vincent Thats okay. Just make sure you go over it with your parents and give it to me before your conference. ARRRRRG. @Mr fisher, i forgot my conference form at school, is it ok if i sign it tomorrow? You sign up on the website. do you mean 8th november or 8th december because realy don't know? All groups of hundreds are not divisible by 8. I think you mean all groups of thousands. Oops! Thanks for pointing that out, David! I fixed it. All conferences are next week in November! I fixed it. All conferences will be next week in November! @Owen Please read the PAR and follow the instructions! I am glad you did everything though. do i actually have to write them all????? I have put eating utensils (plate/bowl, fork/chopsticks, cup) for the party in my backpack. I have added 3 inquiry questions to the brainstorming page. I have gone over my conference form with my parents and put it in my backpack. I have added 3 inquiry questions to the brainstorming page. I have marked my math pretest and put it in my back pack. I have put my eating utensils (plate,spoon, fork and cup) for the party into my backpack. I have marked my math pretest and put it in my backpack. I have NOT added 3 inquiry questions to the brainstorming page because i left it at school so i added two i remembered. Sorry i posted so late i had many things to do. I am so sorry for forgetting my conference form at school Mr.Fisher, so can I hand in my conference form on thursday? I haven’t done this because I forgot my notebook at school.